MIAMI, FLORIDA, USA, July 12, 2018 /EINPresswire.com/ -- (EmergingGrowth.com Newswire – July 12, 2018) – EmergingGrowth.com, a leading independent small cap media portal with an extensive history of providing unparalleled content for the Emerging Growth markets and companies, reports on The Movie Studio, Inc. (OTC Pink: MVES). The Movie Studio, Inc. (OTC Pink: MVES) just announced that through a distribution agreement with All Channel Films, Inc. Amazon.com, through its Amazon Prime Video on Demand (VOD) service, has agreed to release The Movie Studio, Inc.’s latest release “DANCING ON THE EDGE”. In February, The Movie Studio, Inc. (OTC:MVES) www.themoviestudio.com announced that it has begun to monetize its content through a revenue share with Amazon.com as it prepares to launch its proprietary “Vu-Me” app. The Movie Studio, Inc. (OTC Pink: MVES) just announced pre-production of two wholly owned intellectual properties “Cause & Effect,” an action thriller and “PEGASUS” a horse power driven family story and the Companies signature film. Historically, since 1979, according to BoxOfficeMojo.com horse featured films have grossed an average lifetime gross of $23 million. The Movie Studio, Inc. intends to further monetize the aggregated assets of the Company, including its own original content as well as previously acquired networks and content from Emerging Media Corporation and Strategic Partners Ethos Media Network utilizing the new OTT platform. This is in addition to our recently announced Vu-Me App. 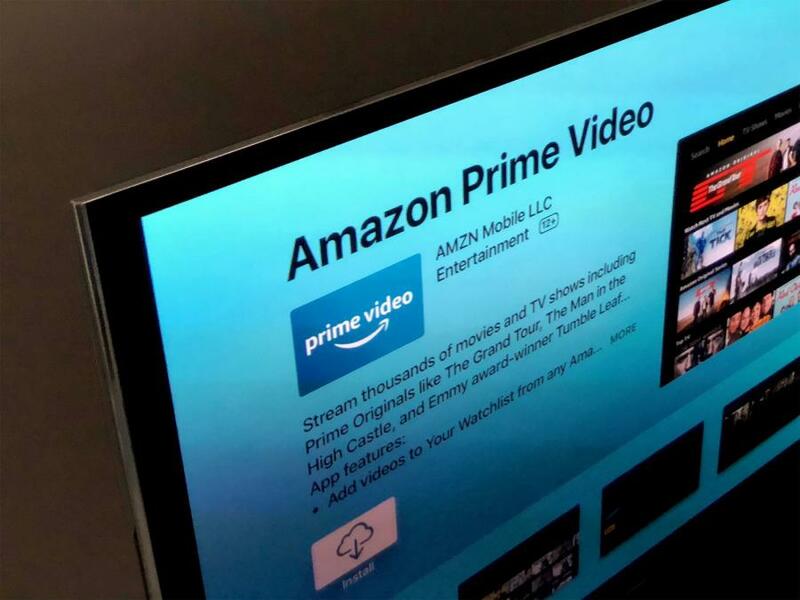 Through utilization of Amazon’s (NASDAQ: AMZN), Video on Demand (VOD) platform, The Movie Studio, Inc. will be streaming its bundled motion picture content across Amazon’s Content Delivery Network (CDN) on a revenue share basis. MVES’s revenue share, subscription based digital media marketing will be accompanied with a “Win A Part” in a movie contest online on The Movie Studio’s website for upcoming Movie Studio feature film releases. The Movie Studio, Inc. is positioned to be a great acquisition target for streaming providers that continue to invest billions of dollars in original content. Netflix, Inc. (NASDAQ: NFLX)’s content chief, Ted Sarandos, told Variety in an interview in August that the company “will spend $7 billion to $8 billion on content in 2018.” After successfully launching “Exposure” and “Bad Actress” on Amazon Prime, The Movie Studio, Inc. (OTC Pink: MVES) has a proof of concept and launch pad for further original content distribution. According to analysts at Statista, the global video streaming market is forecast to see revenues grow from $12.57 billion in 2017 to $18.65 billion by 2022, representing a compound annual growth rate (CAGR) of 8.30%. Through the acquisition of Emerging Pictures, The Movie Studio, Inc. (OTC Pink: MVES) gained a network of 130 theaters and is working to secure licensing rights to distribute “up to” 1,800 movies in the catalog. This is a major step for the company, in what appears to be a potential parallel to Helios & Matherson’s (NASDAQ: HMNY) MoviePass, however The Movie Studio has access to legacy content, library content or new content “Owned” by The Movie Studio, Inc.
Helios and Matheson Analytics, Inc. (NASDAQ: HMNY): The company, which also owns and operates the popular MoviePass app, utilizes a subscription-based model that allows consumers to see one movie per 24 hours. The technology is available in 91% of the almost 40,000 theaters across the United States. HMNY has been on a free fall due to scripting prices not being able to cover the users cost of admission. This company needs a spark to ignite it. MoviePass is a relatively similar concept to The Movie Studio, Inc.’s (OTC Pink: MVES) recent acquisition, Emerging Pictures and its ability to deliver commercial-grade video on demand services. The Movie Studio, Inc. (OTC Pink: MVES) now has a network of over 130 theaters in the US, with the rights to distribute over 1,800 movies. As of December 2017, Helios and Matheson Analytics, Inc. (NASDAQ: HMNY) has a market cap of $113.6 million and a share structure consisting of 12.44 million shares outstanding and a float of 5.02 million shares. During the third quarter 2017, the company reported total revenue of $1.17 million and a net loss of $43.46 million. Overall, The Movie Studio, Inc. (OTC Pink: MVES) could be well positioned to be acquired by one of the larger streaming entertainment companies, as they bolster their budgets in an effort to compete for top original content. RLJ Entertainment, Inc. (NASDAQ: RLJE): The diversified digital content channel company is engaged within the acquisition, development, production, and distribution of digital content and TV programming. The company operates three main subsidiaries: Proprietary Subscription-Based Digital Channels, Intellectual Property Licensing, and Wholesale Distribution. RLJ Entertainment, Inc. provides original and third party licensed programming to its content channels: Acorn, RLJE Films, Urban Movie Channel, Acacia, and Athena. As of December 2017, RLJ Entertainment, Inc. has a market cap of $53.46 million and a share structure consisting of 14.07 million shares outstanding and a float consisting of 3.43 million shares. During the third quarter, the company reported total revenue of $20.9 million and a net loss of $2.72 million. Lions Gate Entertainment Corp. (NYSE: LGF): The company operates within the production and distribution of motion pictures, TV programming, home entertainment, and more. Lions Gate Entertainment Corp. operates three main segments: Motion Pictures, Television Production, and Media Networks. Furthermore, the company has become a household name after successful producing “The Hunger Games” series, “La La Land,” “The Expendables,” and the “John Wick” series. Lions Gate Entertainment Corp. has a market cap of $6.39 billion and maintains a share structure consisting of 81.27 million shares outstanding and a float of 67.50 million shares, as of December 2017. During the third quarter 2017, the company reported total revenue of $940 million and net income of $15.5 million. Twenty-First Century Fox, Inc. (NASDAQ: FOXA): The film and television production giant is responsible for some of the greatest movies of last decades: “Star Wars,” “Independence Day,” “Avatar,” “Home Alone,” “Planet of the Apes” series, and countless others. The company’s television unit also produces some of the most well known shows on TV: “Empire,” “This Is Us,” “Modern Family,” “American Horror Story,” and many more. Twenty-First Century Fox, Inc. has a market cap of $61.53 billion and maintains a share structure consisting of 2.32 billion shares outstanding and a float of 1.04 billion shares, as of December 2017. During the third quarter 2017, Twenty-First Century Fox, Inc. reported total revenue of $7 billion and net income of $855 million. The Walt Disney Company (NYSE: DIS): The diversified entertainment company operates three main business segments: Media Networks, Parks and Resorts, and Studio Entertainment. Within its Media Network business, The Walt Disney Company operates cable networks, such as ABC, ESPN, Disney Channel, Freeform, and various radio broadcasting outlets. The company’s Studio Entertainment business produces and acquires animated and traditional motion pictures through its well-known subsidiaries: Walt Disney Pictures, Marvel, Lucasfilm, Pixar, and Touchstone. As of December 2017, The Walt Disney Company has a market cap of $157.98 billion and maintains a share structure consisting of 1.51 billion shares outstanding and a float of 1.44 billion shares. The company has produced numerous original films and content, which has been distributed all over the world. and is now breaking into the upper echelons after the successful release of “Exposure” and “Bad Actress” on Amazon Prime Video. The recent rise in popularity of MoviePass proves that The Movie Studio, Inc. (OTC Pink: MVES) has the ability to succeed, by comparison of their technologies within the motion picture and theater industry. After acquiring Emerging Pictures, The Movies Studio, Inc. (OTC Pink: MVES) now has a network of 130 theaters and the rights to distribute 1,800 movies, procuring management’s vision to be a major player in the commercial-grade video on demand business, while on track to be a major benefactor from the growing streaming video industry.